Traffic signals get green light in Brookhaven - Kuharchik Construction, Inc.
PennDOT District Six Thursday announced the award of a $203,158 municipal traffic signal improvement project in Brookhaven that is financed with federal funds from the American Recovery and Reinvestment Act (ARRA). PennDOT awarded Kuharchik Construction, Inc. of Exeter the contract to improve traffic signals at six intersections on Route 352 (Edgmont Avenue) and at the intersection of Bridgewater and West Brookhaven roads in Brookhaven. In addition, the plan calls for new pedestrian signals and signs at four intersections on Route 352 in the borough. Construction is expected to start in late August. Under the borough-designed project, crews will replace incandescent bulbs with Light-Emitting Diode (LED) modules at Edgmont Avenue intersections with Dutton Mill Road; Whitely Avenue; Cambridge Road/Coebourn Boulevard; Brookhaven Road; Trimble Boulevard; Upland Road; and at the intersection of Bridgewater Road and West Brookhaven Road. The LED modules will enhance visibility of the signals, plus provide a longer service life and use less energy than the incandescent bulbs. New pedestrian countdown timers and push button controls also will be installed at four intersections on Edgmont Avenue to enhance pedestrian safety at these crossings. New pedestrian signals will be installed at Whiteley Avenue; Cambridge Road/Coebourn Boulevard; Brookhaven Road, and Trimble Boulevard. Brookhaven funded the engineering design phase of this improvement project. 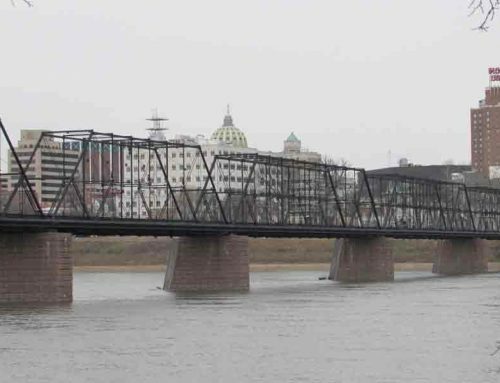 Within the five-county Philadelphia region, PennDOT is investing $257.7 million of federal economic recovery funds on 22 transportation projects, which include road and bridge improvements, Intelligent Transportation System installations, traffic signal upgrades, multi-use trail construction and curb ramp replacements. PennDOT has awarded 12 of 22 transportation economic recovery projects in the region.